Autumn has arrived and with it comes the inclination to move indoors where it’s warm. 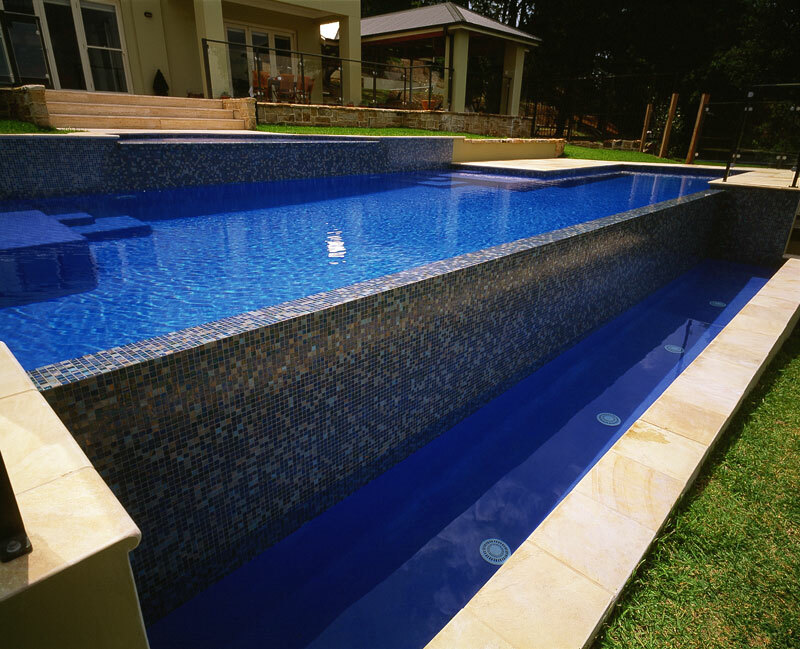 However, if you have a backyard pool, it seems a shame to abandon it until it’s warm again. With a few simple changes, you can cosy up your swimming area for a whole lot of Autumn fun. Adding throw rugs to your outdoor space can transform a typical BBQ area into an extension of your lounge room. The rugs act as a cosy addition to the space, making it feel homely and warm. This works especially well if you have a covered area and a separate area for lounging. Built in fireplaces are becoming increasingly common in the everyday Australian backyard. Aussies are embracing the outdoors all year round and in order to spend more days enjoying what their outdoor spaces have to offer, families are creating outdoor living spaces that centre on a blazing fireplace. Fire pits are a great alternative to built-in fire places. They allow for heating an outdoor space when it’s getting chilly, and can be put away during the warmer months to save space. They are a great alternative for those with limited outdoor space as they can be moved about and packed away when not in use. Fire pits come in a huge range of designs and can easily add atmosphere to any outdoor area. The outdoor area is a continuation of your home, so updating your outdoor areas with seasonal colours is a simple and effective way to embrace Autumn. Throw rugs and cushions are an easy way to honour the change of seasons through the introduction of warm tones such as oranges and burnt yellows. Incorporating potted plants into your area can also help you celebrate the change of season as there is nothing more relaxing than sitting in your outdoor area surrounded by the beautiful changing foliage of Autumn. The addition of an outdoor spa can liven up any party and heat up even the chilliest night. Portable or built in outdoor spas are a great addition to any outdoor living spaces and will be embraced by kids and parents alike! Creating a seasonal oasis can be a simple task, such as adding new cushions or rugs, or a wonderful excuse to revamp your outdoor living area into a beautiful getaway complete with built-in fireplace and perhaps even a pizza oven!